This book describes sixty years of experiences of a settler, during which he built plantationsfor his German and other employers and finally acquired his own. He and his family experienced hardship, regards, jubilation and disappointments while living in East Africa from the 1920s to the 1980s. Mr. Voigt brings his many adventures to life, including a one thousand kilometre honeymoon foot safari, eight years of internment during World War II, prospecting for gold, and establishing several plantations in Tanzania and Rwanda. His stream of consciousness style, Germanic manner of expression and his recollection of particular details that interested him make this book easy and fascinating reading. 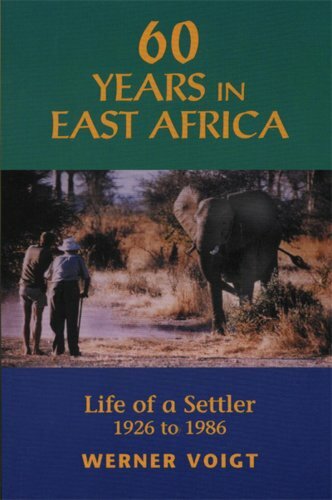 It is the uniquely personal account of a German settler in East Africa spanning the years 1926 to 1986.